Pupils at Colville Primary were paid a visit by Girl Talk magazine to top off a week of activities funded by MagAid. Editor Sara Oldham came to the West London school on June 19 to answer questions about magazines from students who had spent the past week learning about the industry and creating their own titles. Working in teams with designated roles, the children conducted interviews with teachers and each other, designed front covers, wrote stories and created word searches for their publications. Following the talk from Sara, parents were invited into the classroom for a celebration event where the children were able to show off their work. 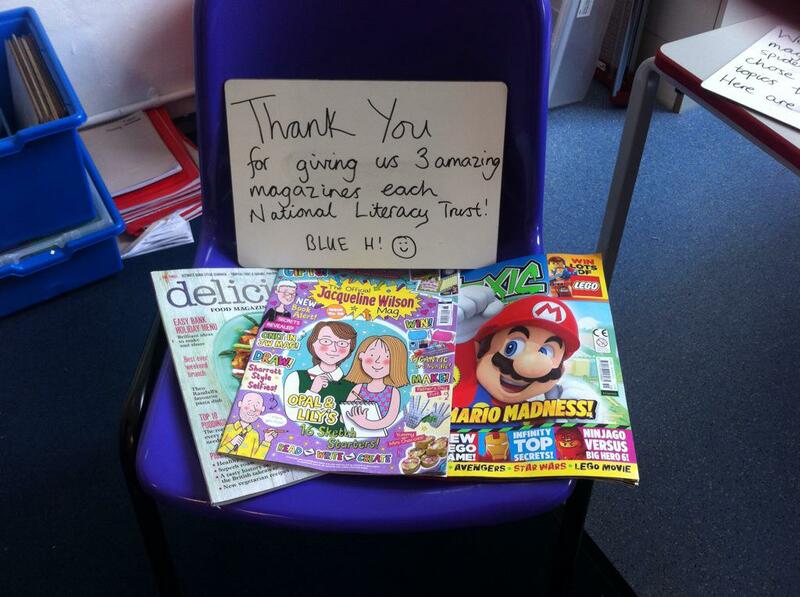 The activities were all co-ordinated through the National Literacy Trust, which through MagAid funding has developed a version of its Young Readers Programme exclusively based on magazines. Projects are scheduled to run at a total of five primary schools in England and Scotland in 2015 and further information on the other projects will follow. The PPA would like to thank Colville Primary, the Girl Talk team at Immediate Media and the NLT for making the project such as success. Huge thanks also to Marketforce and the other magazine distributors involved for their invaluable support in sourcing magazines for the project – the children are so used to having to return reading materials, such as books, when working on projects that they were all amazed to be able to choose three magazines and then take them home!